Whether they're splashed with '70s plaid, sequins or made in a pretty pastel fabric, boyfriend blazers are the perfect addition to any cold weather wardrobe because of their versatility and effortlessness. 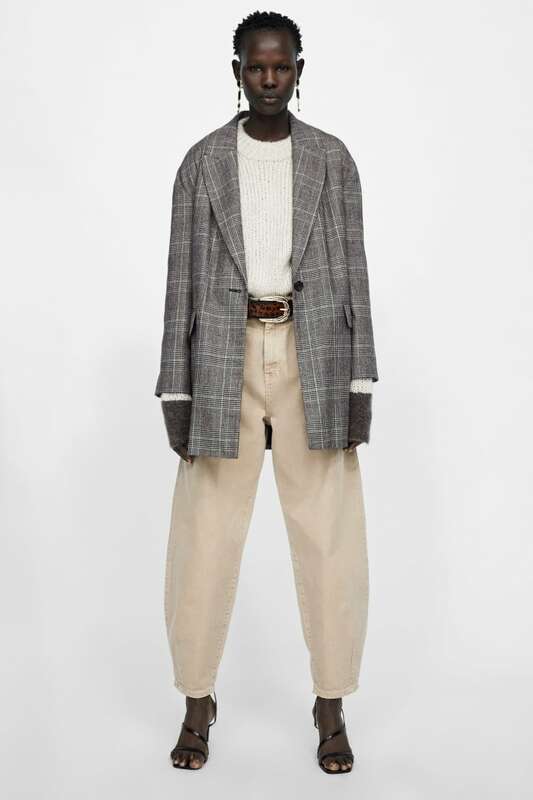 The key to making this all-season menswear trend work and feel so-right-now is to choose a looser fit and maybe roll up the sleeves. 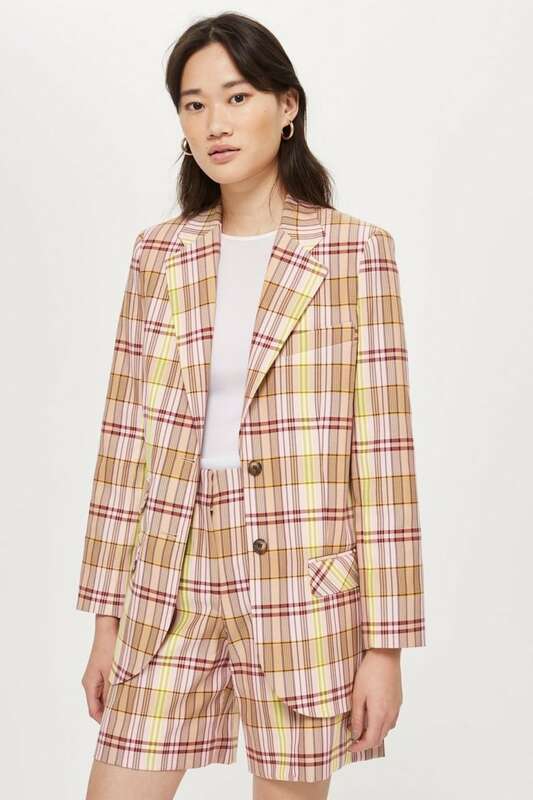 This cut of blazer looks equally amazing with "mom jeans", sneakers and a graphic t-shirt, or dressed up with matching trousers, chunky heels and a blouse, for your 9-5. Here are some to shop and style right now. 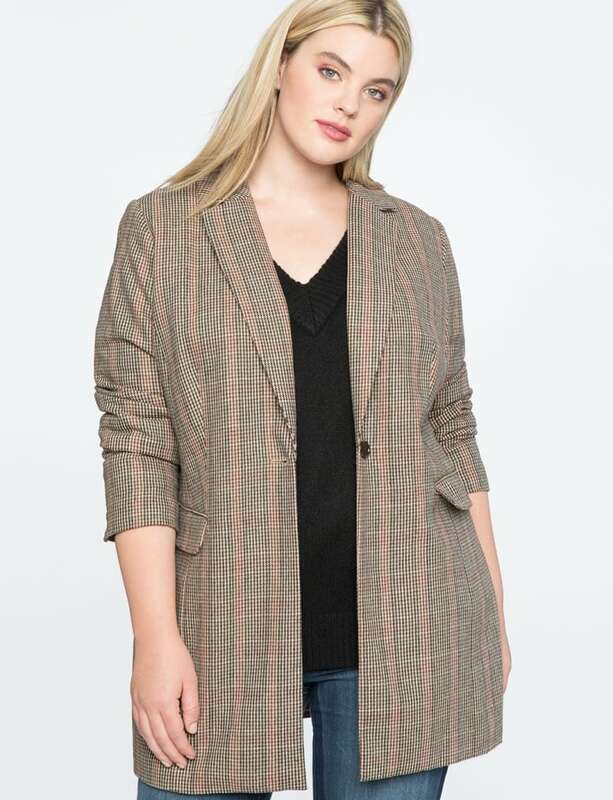 By far the most iconic blazer print, this glen plaid topper looks like it came straight out of your grandfather's closet, but fear not: strappy heels, loose-fitting trousers and a chunky belt keep the look feeling fresh. This timeless print takes this loose-fitting blazer from plain to playful. Rock the piece with a silky black tank underneath or go wild and wear it with the matching pants. 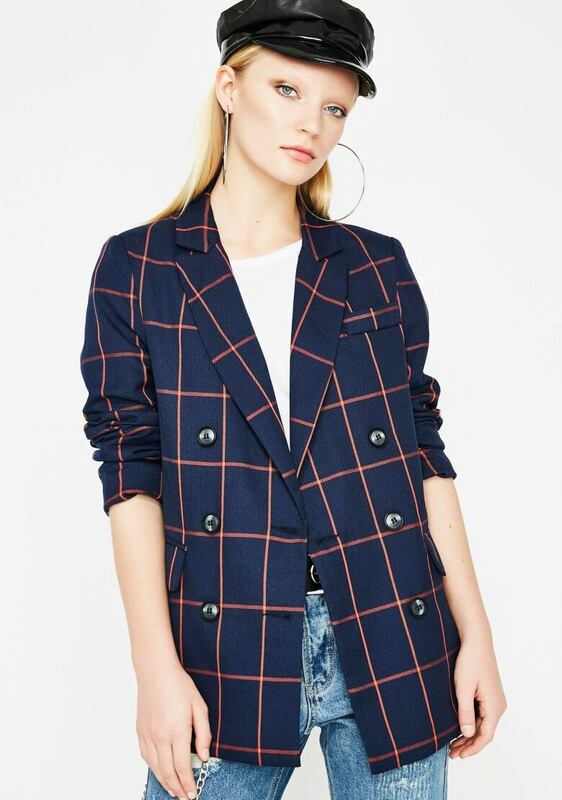 This Cher Horowitz-approved boyfriend blazer is what Clueless dreams are made of. The candy coloured checks, simple tailoring and wood buttons are equally preppy and posh. A black blazer is as much of a closet staple as a killer pair of jeans, so you can't go wrong with a topper that truly goes with everything. The diagonal buttons flatter any shape, while the neutral hue makes this piece perfect for every day. 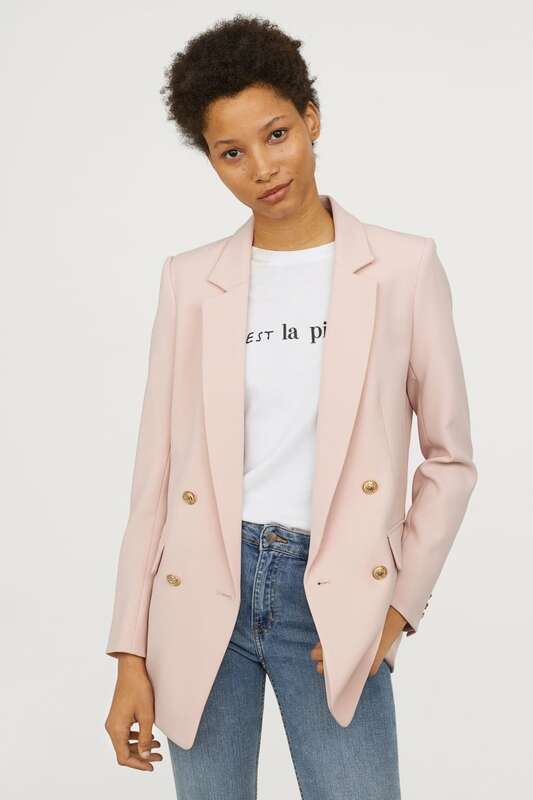 Pretty pastels feel tough on a boxy blazer, especially when a statement-making graphic tee peeks out from underneath the lapels. Tap into the jacket's feminine side by pairing it with a midi skirt for sophisticated after-hours style. 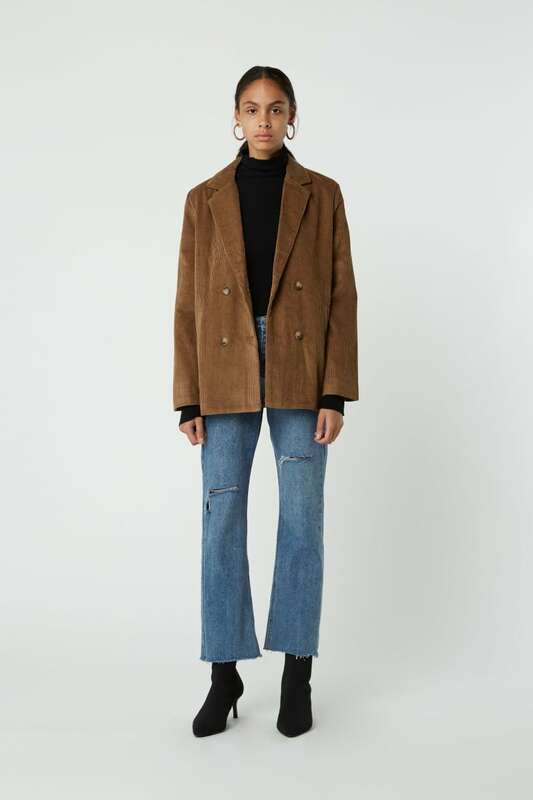 This brown corduroy boyfriend blazer is giving us major 1970's vibes (in the best way possible). Keep the look in the 21st century with a sleek pair of sock boots, kick-flare cropped denim and statement hoops. For a dash of British influence, pair a checkered topper with distressed denim, over-the-top earrings and a trendy newsboy cap. Dare to go bold? A gorgeous sangria shade elevates this classic cut and brings out the colours in the eye-catching striped silk blouse worn underneath. We'll cheers to that. A classic menswear-inspired blazer looks extra chic when dressed down with your favorite pair of jeans and a simple black v-neck for causal Friday at the office. 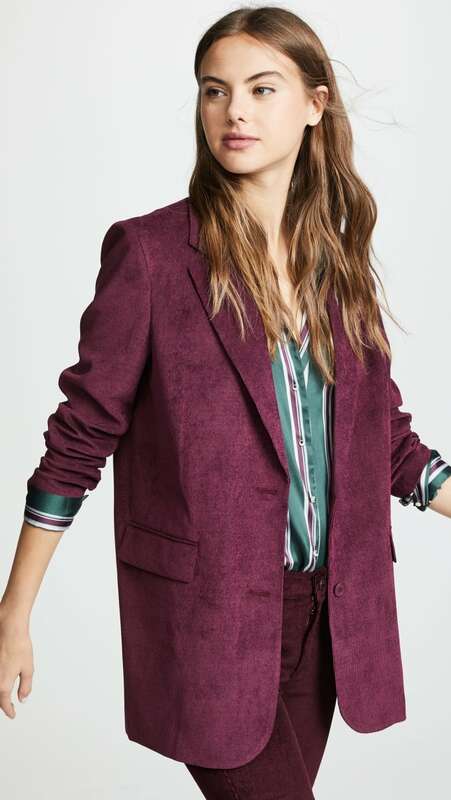 A baggy blazer in a vampy shade is just begging to be worn on your next night out. The rich oxblood hue makes the jacket feel extra special and looks daring when paired with leather trousers and nothing underneath. Whoever said no white after Labour Day clearly didn't know about this blazer. The subtle black stripe, contrasting buttons and slightly baggy fit look incredible with a stark white mini skirt. Bookmark this #lewk for your next holiday gathering. Victoria Christie is a freelance journalist, feminist and fashion enthusiast based in Toronto.